Pond Cove is a small fishing community on the Great Northern Peninsula just 5 KM north of Plum Point and surrounding the beautiful and serene Genevieve Bay. The community is a quiet place, with just twenty homes. On a recent visit the water was peaceful. On the wharf, lobster traps were neatly stacked. In fact, they were stacked all around the community. The season may have been over, but their presence showed the importance of this fishery to the community, still today. I’ve been told Pond Cove is a quiet place to pick berries, dig clams, or certainly take in a boat ride or a nature walk. One did not have to go far to see the wood piles, hear the birds chirping and I’m sure there are moose and caribou not to far away. There is a photograph waiting almost around every turn you take. 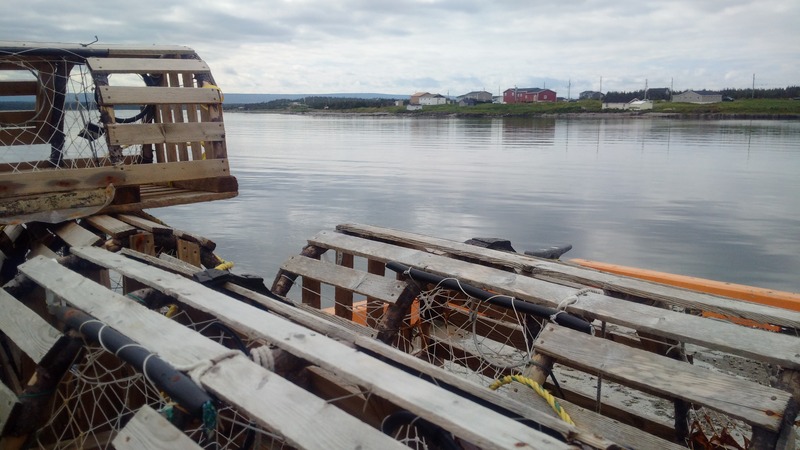 Posted on August 12, 2015, in Community Economic Development, Landscapes/Geography and tagged Fishery, Great Northern Peninsula, lobster, Newfoundland, pond cove. Bookmark the permalink. Leave a comment.